I am the person who views walking into a room full of people she doesn’t know as a great adventure. I talk to strangers on a daily basis, whether it’s a conversation with a five-year old in the elevator about whether it’s going to snow or with the person bagging my groceries at Whole Foods and laughing as I wonder whether my Amazon Prime account will save me an extra dollar. I’ve stood up in front of strangers and delivered presentations, blogged for over ten years, written two books and have no trouble expressing my opinions on social media. Not much scares me and when it does, only those closest to me have a clue. Anyone who knows me or has worked with me knows that I will tell you what I think, not what I think you want to hear. It’s nice if people like me, but I’ve long abandoned trying to make that happen. What you see is what you get. Yet…. Right now I’m a little scared. 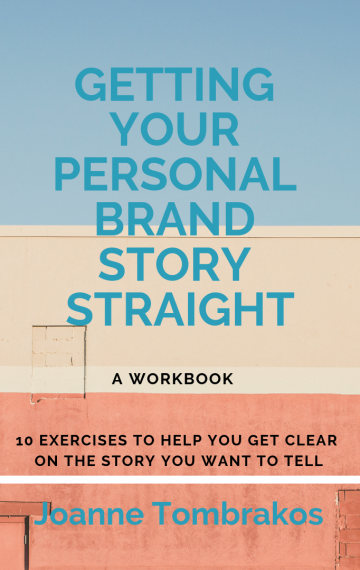 This week, after multiple delays with the folks at Amazon KDP, I published a workbook, Getting Your Personal Brand Story Straight, ten exercises to help you get clear on the story you want to tell. Don’t get me wrong. This scares me – but I’m also excited. This is something that I’m not sure why I haven’t done sooner. 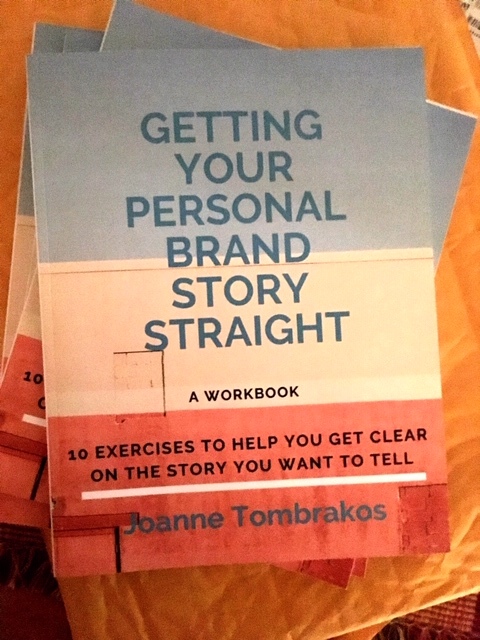 It’s a workbook I’ve used with my private clients and something that I’ve offered as a PDF on my website for awhile, but now it’s a book. With printed pages and spaces to write in. 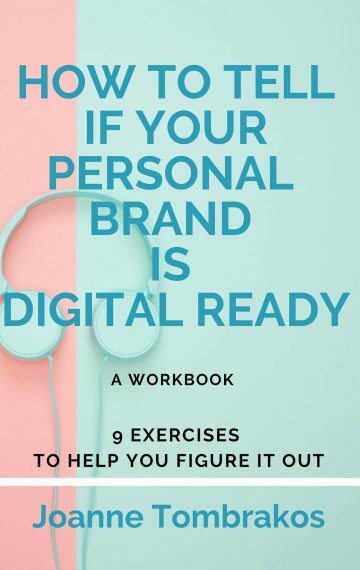 And now it has the opportunity to reach more people and hopefully help them get their personal brand story straight, something I believe is key for anyone who wants to build a career and is more important than ever in a world of hyper-short attention spans. But I am also scared. Writing a book, even a workbook is like giving birth to a child. Once it’s out there it takes on a life of it’s own. You can guide it where you want it to go, but you can’t control it. You want it to be liked but you know that not everyone will. There will be haters. Lots of haters. Especially in today’s world. People who will give this one star instead of four or five on Amazon and then proceed to tell you in no uncertain terms exactly why they hate it. You want to protect it from the hate, but you know that won’t happen. Even though it is not you, it is part of you. It is something you created. And you know that even though you are sure it’s ready for the world, you are a writer and a writer knows perfection is never fully achieved. There is always something, a word or a line that once it is printed, you think might have been a bit better if done differently. So right now the person who encourages all who come across her path – from her clients to her students – to go for it and push past their fears – has to pause and take a moment to listen to her own advice. And send anyone who is interested to Amazon to buy a copy and help to spread the word.